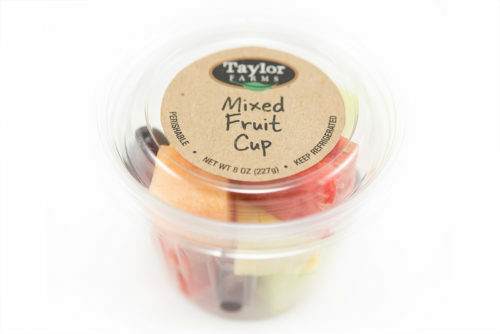 Our snacks are perfectly portioned to satisfy on-the-go appetites with a nutritious alternative. Regionally produced and hand packed with quality ingredients, our snacks are offered in both single serving and party tray sizes! Sweet honeydew, pineapple, watermelon, cantaloupe, and red grapes make a refreshing on-the-go snack at any time of the day. 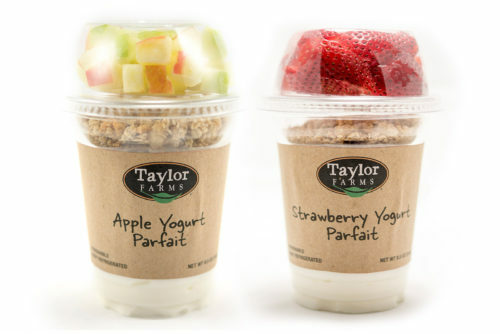 Creamy lowfat vanilla yogurt and French vanilla granola topped with fresh-cut strawberries or apples. 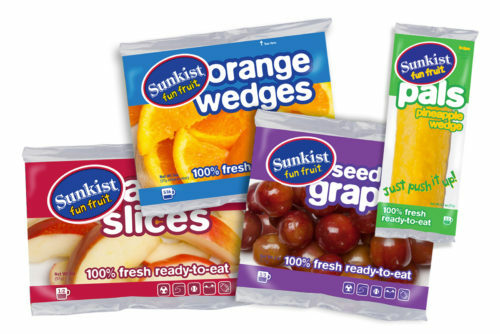 Versatile Fun Fruit are 100% all natural and ready-to-eat featuring a variety of fresh fruits including slices oranges, pineapples, apples, and grapes. 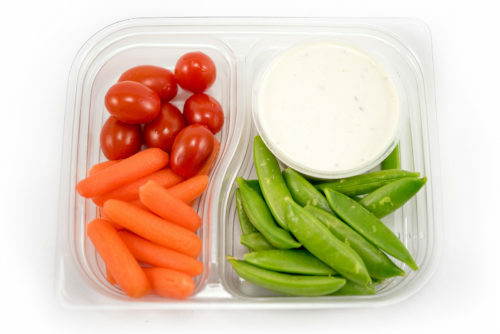 A fun, crunchy snack with snap peas, petite carrots, crisp celery, cherry tomatoes, and a light, creamy ranch dip. 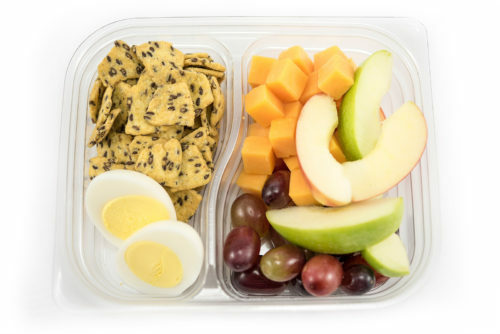 This protein-packed snack tray will give you an energy boost with grapes, apples, cheddar cheese, salted corn chips with flax seeds and a hardboiled egg. 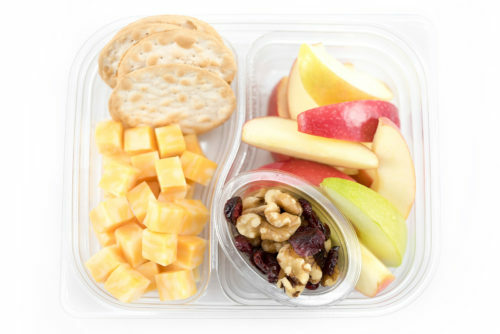 A snack tray for those who love variety with apple slices, thin crispy water crackers, mild cheddar and colby jack cheese, dried cranberries, and walnuts.